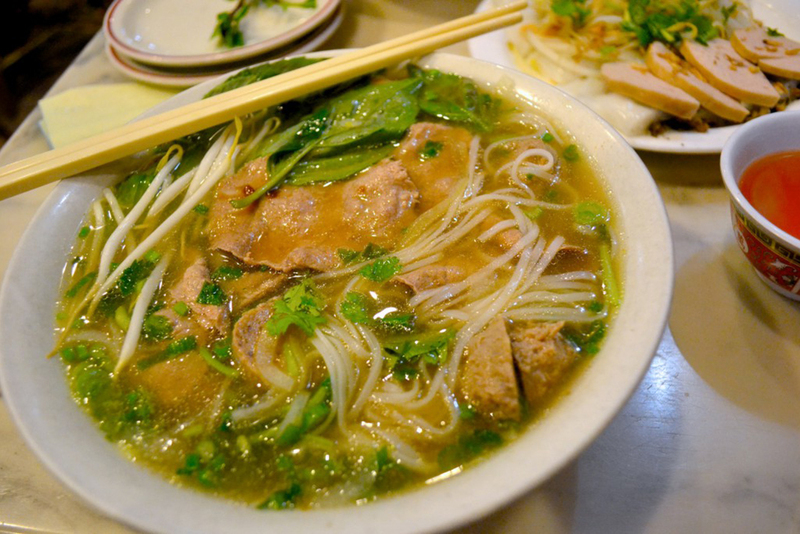 New York touts unmatched bagels, classic red-sauce Italian restaurants and a ramen game on par with the noodle temples of Japan, but steaming bowls of Vietnamese noodle soups are harder to come by—without the best pho restaurants in NYC, that is. 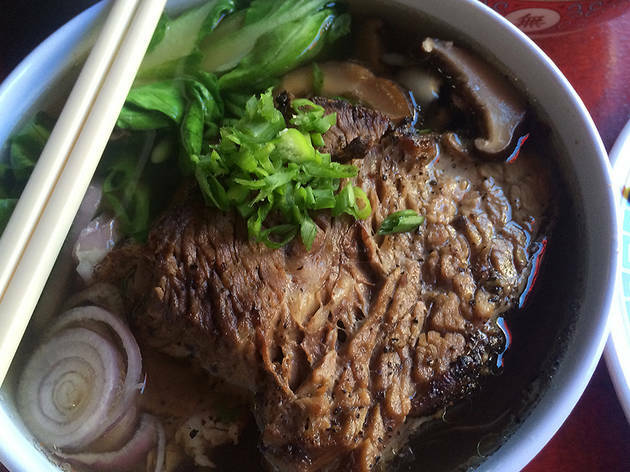 There are plenty of Gotham joints at which to slurp up the hangover-curing, slow-cooked broth, from no-frills old-timers in Chinatown to a second-generation Bushwick charmer. 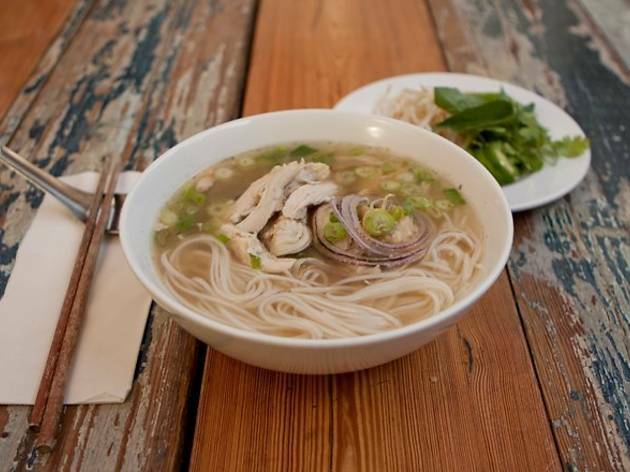 Purists may balk at the notion of a vegetable-based pho that shines among the meaty regulars, but the lone offering of noodle soup at this Bushwick kitchen is just that. 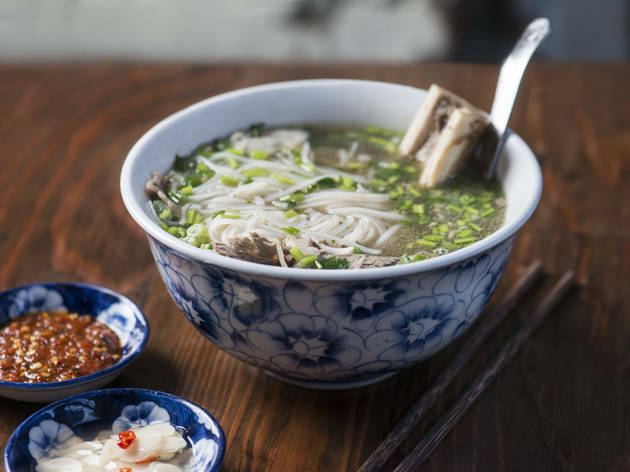 A savory, yet light broth is simmered for three hours with mushrooms, star anise, charred shallots and ginger. Beef is available as a topping in thick, hand-carved strips of brisket that's been smoked for 14 hours over mesquite and applewood. 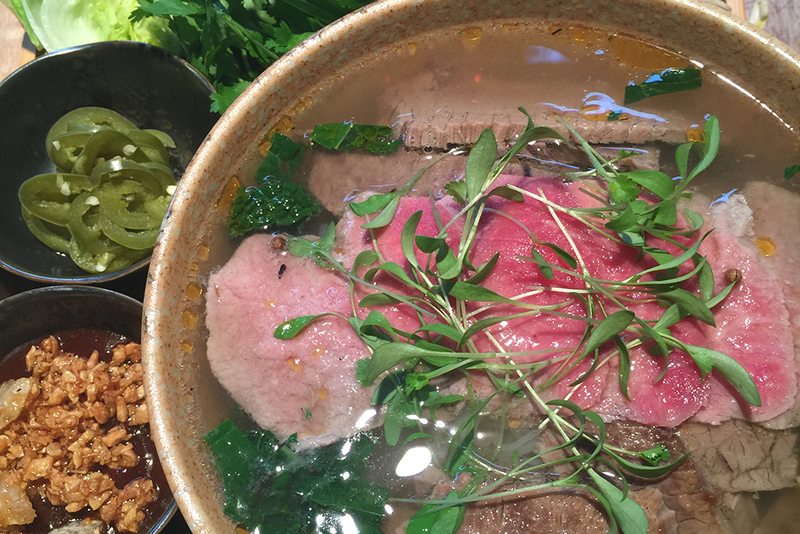 Vietnamese native Ronny Nguyen tenders traditional fare from his homeland at this 40-seat, wood-fitted East Village restaurant. 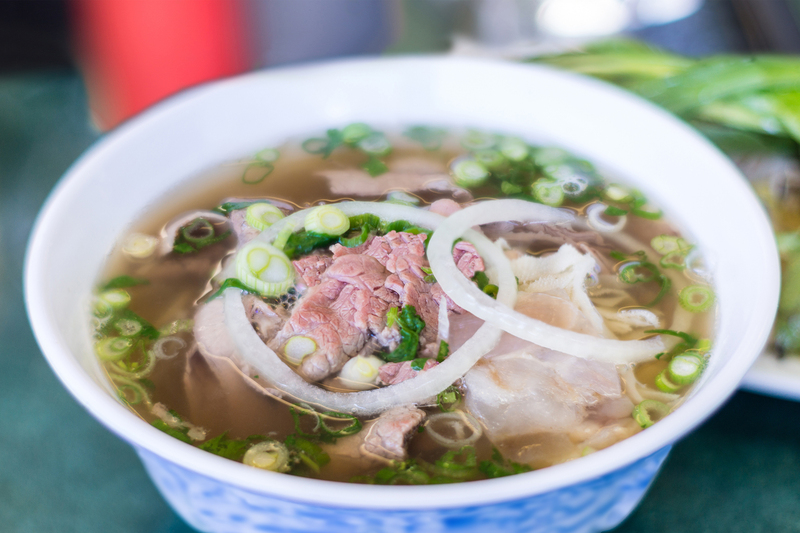 Pho is the star of the menu, with the eponymous Pho Sao Mai special packing brisket, beef eye round and beef balls in a light, refreshingly balanced broth. 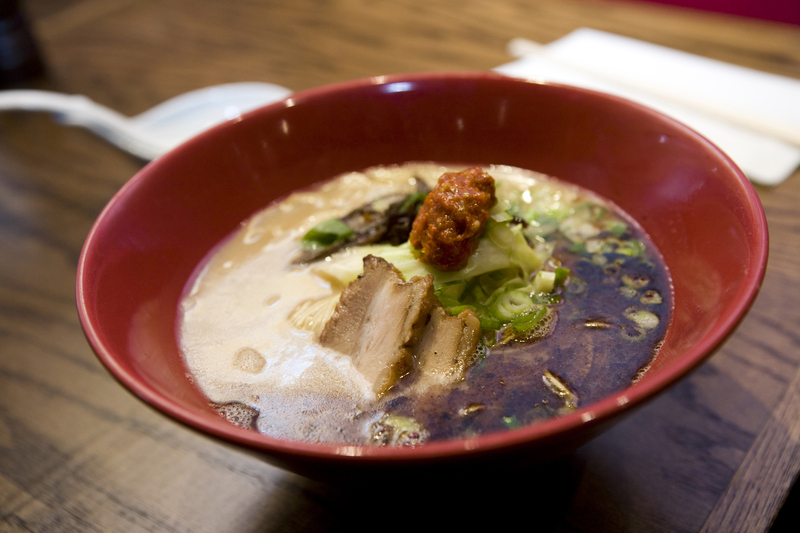 For the red-meat–averse, seafood, chicken, and vegetable alternatives join the beef-based varieties. 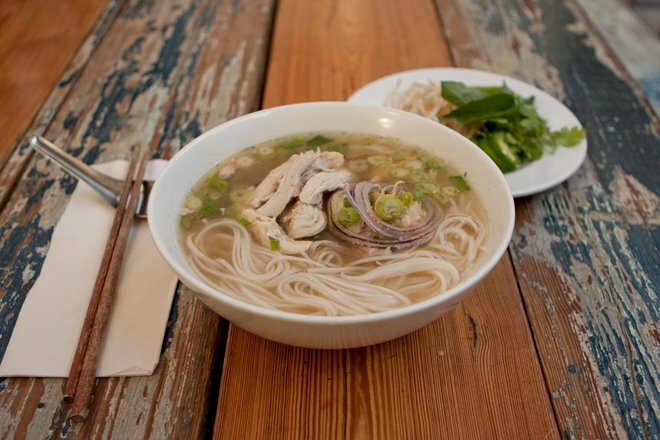 Slurp up a big bowl of pho at this Bushwick joint that serves authentic Vietnamese fare in a casual setting. With mismatched chairs, beach-picnic vibes and a lively playlist, Bunker feels like a hidden punk-rock party. 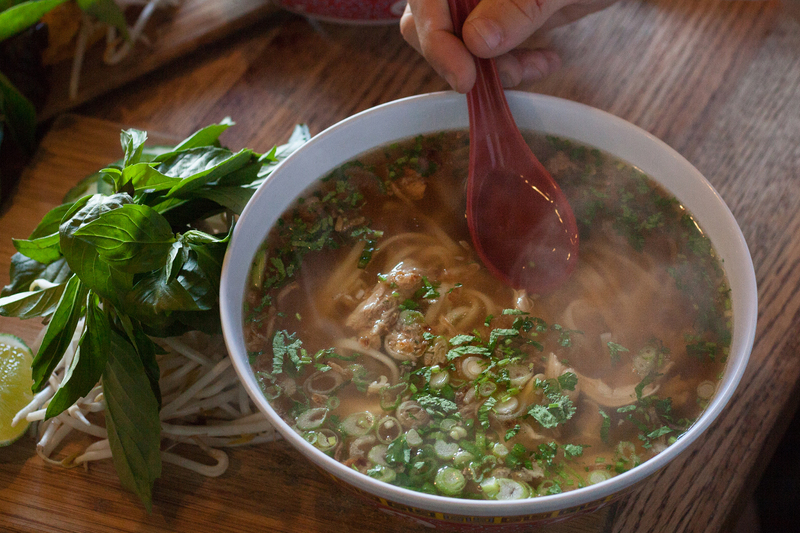 The Chicken Noodle Soup phô here is a lighter variety, dressed with ingredients like bean sprouts and basil. 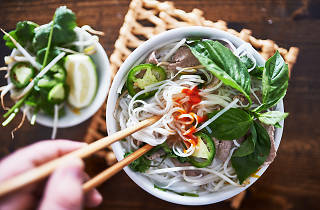 The Vietnamese comfort-food canteen stirred the blogosphere’s fresh hopes of pho grandeur when it opened. 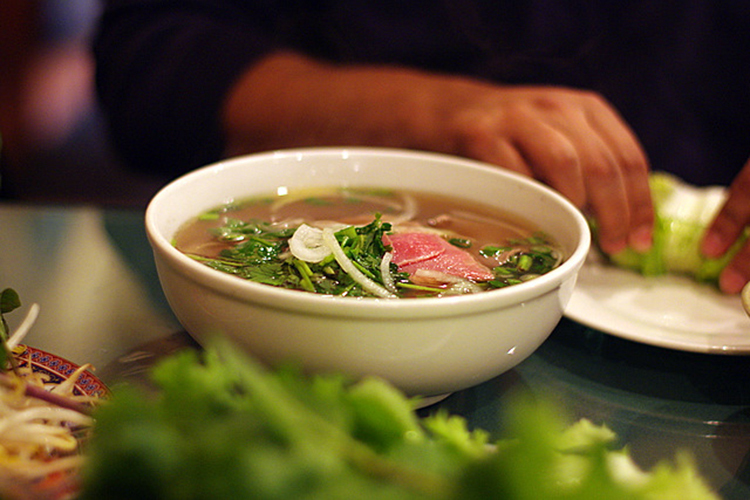 The pho bac is lovely in its pared-down simplicity. 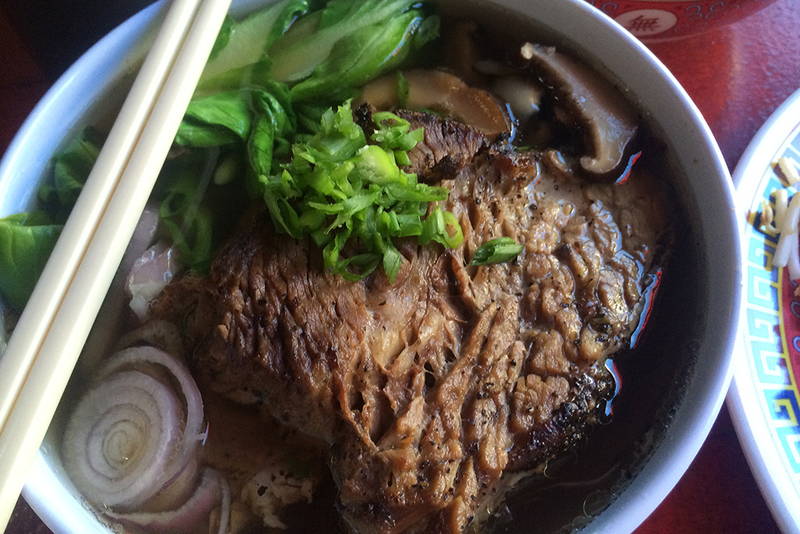 The kitchen curbs the add-ins (only pickled garlic and house hot sauce) and instead goes all in on the intense beefiness of 16-hour simmered bones, doubling down on that meaty depth with hunks of Black Angus filet mignon and brisket that swim among the slippery rice noodles. 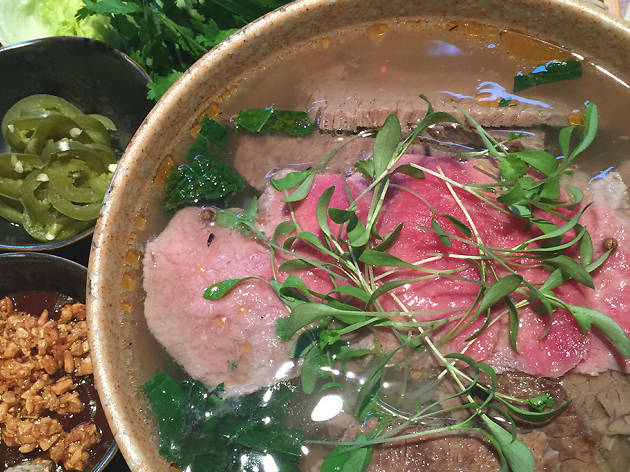 This ramshackle Mott Street haunt offers its titular dish at generously economic prices: an extra large bowl will set you back less than $10. 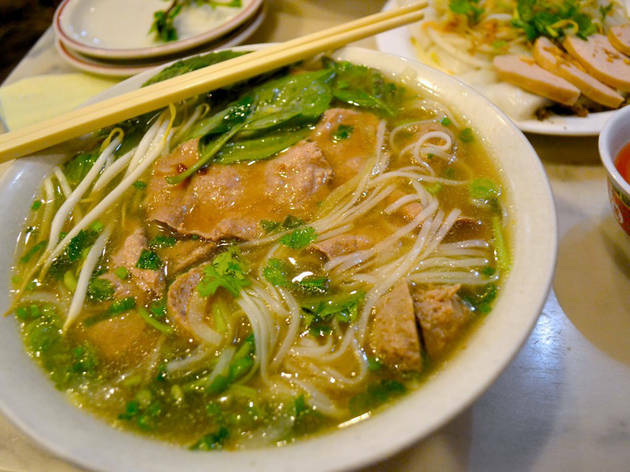 The choices for pho are mostly traditional—such as eye of round, navel and omosa—but the menu expands to include lesser-known dishes, as well. 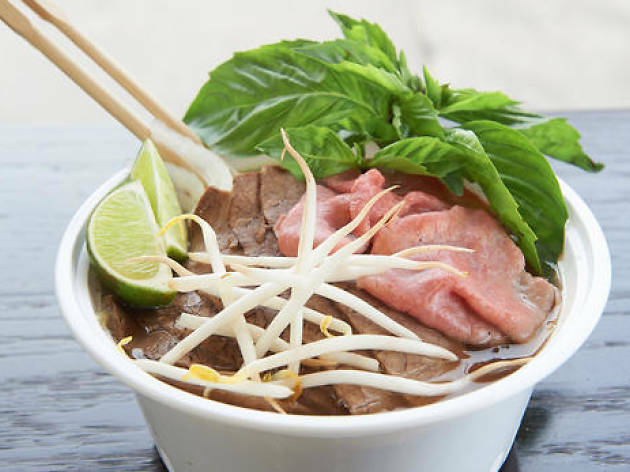 In an attempt to bring more authentic Vietnamese food to New York, owners Tuan and Huy Bui opened this small space designed to look like a street alley in Saigon. It comes complete with a mobile food cart dispensing banh mi sandwiches, including fillings such as char siu pork belly. 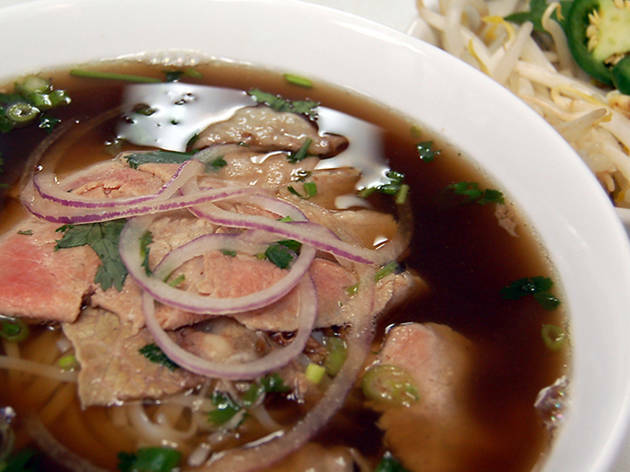 The restaurant also specializes in pho: chicken, beef or mushroom broths with rice noodles, bean sprouts, Thai basil and lime. 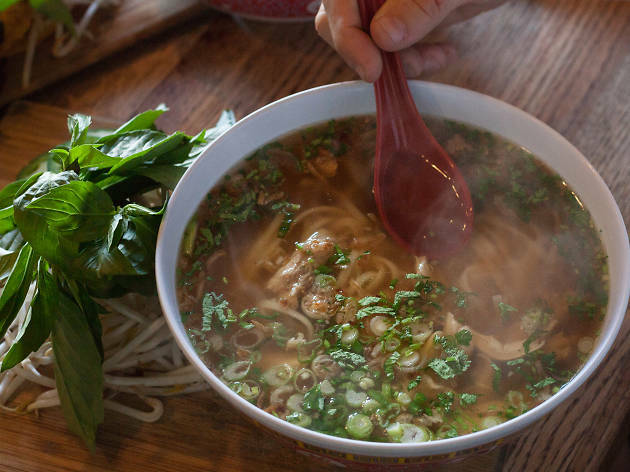 As New York’s first Laotian restaurant, Khe-Yo brims with trailblazer pride. 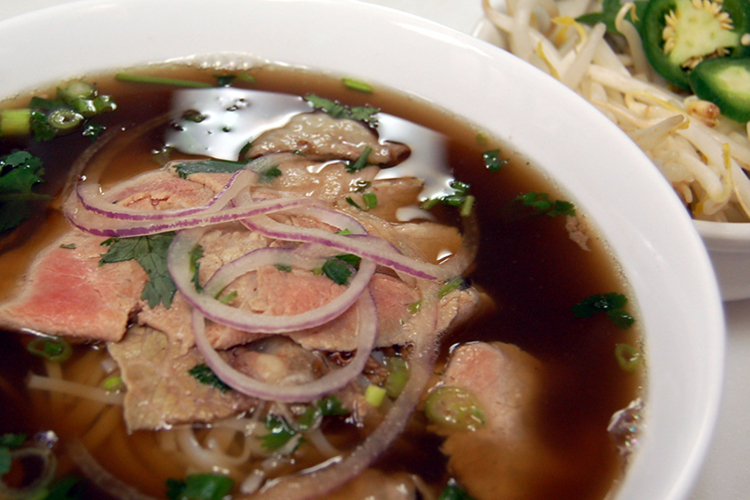 The restaurant delivers the cuisine of a Laos native with upmarket style. 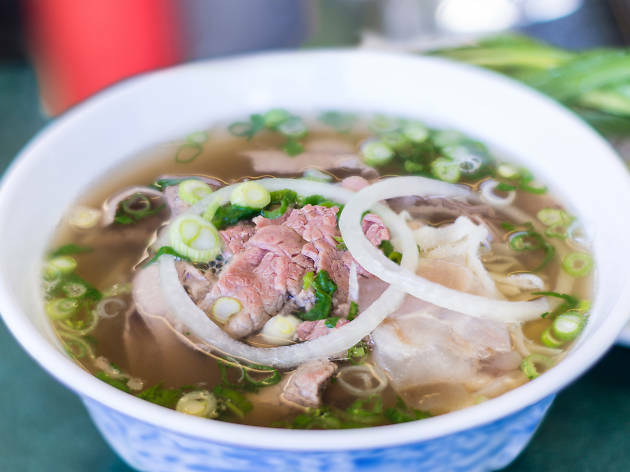 Although pho is a traditionally Vietnamese dish, Schwader gives the soup a regional tweak, nodding to the Thai city of Nong Khai where refugees from both Laos and Vietnam fled and settled down. 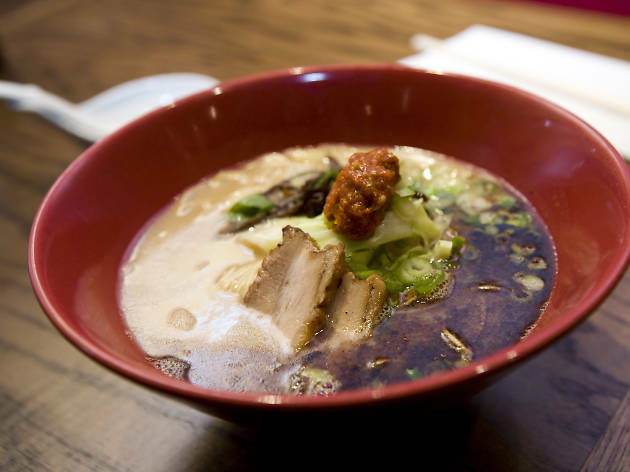 Served during weekday lunch and weekend brunch, the bowls are rejigged with pickled jalapeños and sriracha mayo. Presentation is not the draw of this uptown sandwich shop. Orders are unceremoniously shoved out in plastic bags from a small window beside the kitchen, packed with tall Tupperware brimming with beef broth and Ziploc bags of pungent basil leaves, lime wedges and bean sprouts. 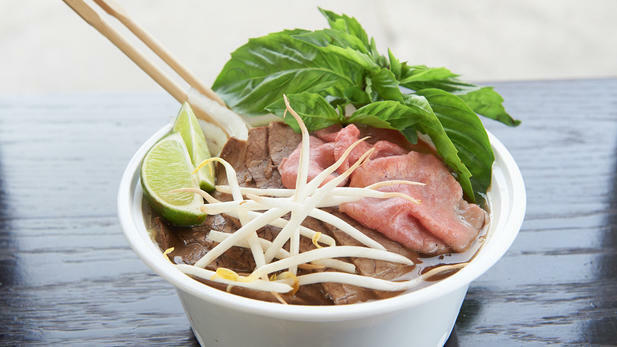 Combine the ingredients for a bowl of startlingly good pho with supple, paper-thin slices of rare brisket, slurpworthy rice noodles, crunchy slivers of raw onion and a bold dash of hoisin-sriracha sauce. 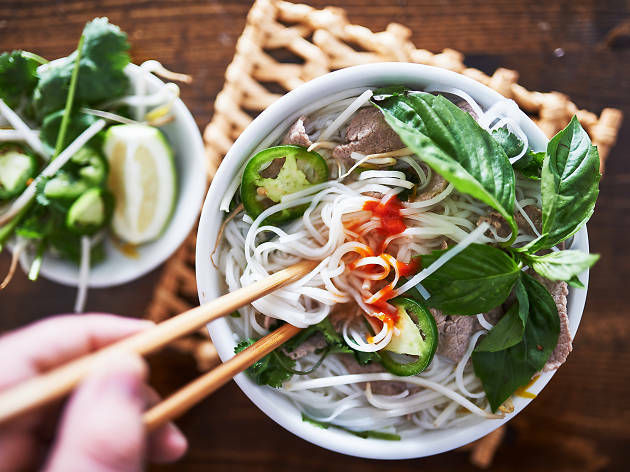 Named for a peak in northern Vietnam, this veteran Baxter Street stalwart offers more than 130 classic dishes including curries, vermicelli and spring rolls. 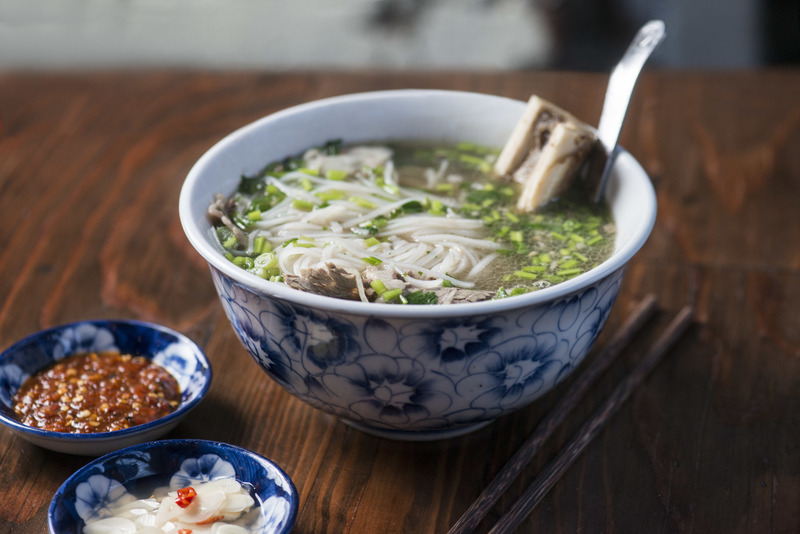 A sizable chunk of the menu is devoted to 16 varieties of the national noodle soup with fixings ranging from eye round steak and fatty flank to chewy tendon and tripe. Primarily a banh mi sandwich shop, this pocket-sized café offers French baguettes stuffed with oddball options like crispy sunfish with pickled onions as well as the traditional pork. 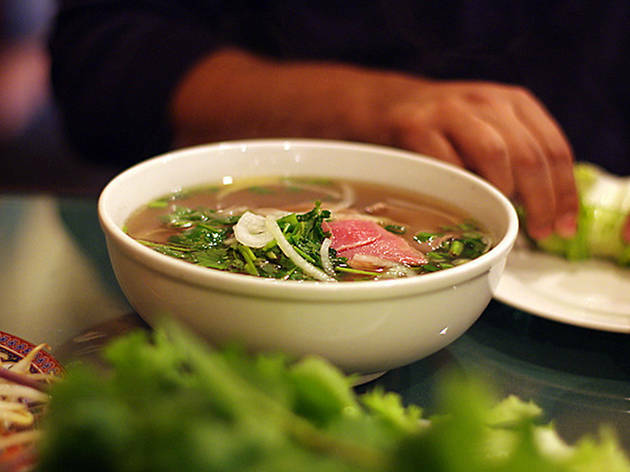 The pho here is of the simpler Hanoi style, with a dark oxtail broth, thinly-sliced rare meat and noticeably fewer herbs than its Mekong delta counterparts.